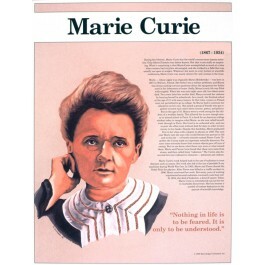 This educational poster features a striking image of Marie Curie, along with biographical text, and a quote from her saying: "Nothing in life is to be feared. It is only to be understood." 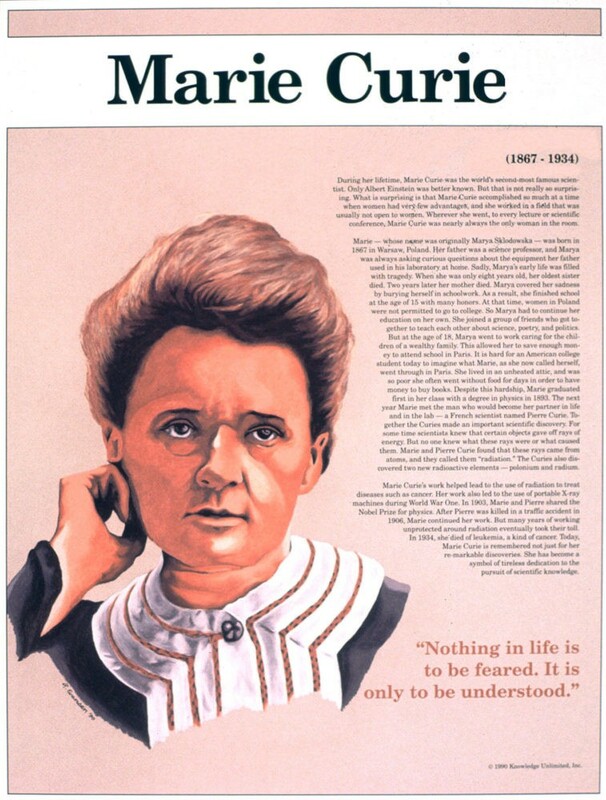 Marie Curie is one of the best-known scientists who ever lived. Together with her husband, she discovered two new radioactive elements and uncovered the secrets of radiation. Her determination and brilliance led her to a life of remarkable accomplishment. Sadly, her work with radioactive materials also led to her death. This poster is a great way to introduce students to a courageous scientist who has become a symbol of dedication to the pursuit of knowledge.